We all likely know a sensitive female in our lives. She shelters us from harm, helps us to get through our toughest storms, nurture us, and always offers an ear to listen and a shoulder to cry on. For many of us, life would prove much more difficult without these beautiful souls around to help us out. They feel things on a very deep level, and although they seem like complicated creatures, they simply get overwhelmed by stimuli very easily. They don’t mean to make things more difficult, and they certainly don’t want attention or sympathy. 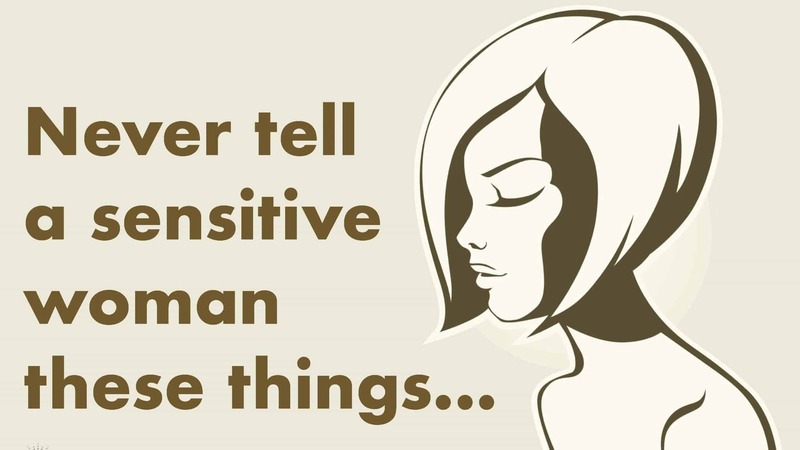 Highly sensitive women, in a nutshell, simply feel more. They process things slower, and don’t resonate with the fast-paced lifestyle of today’s world. They often feel like outcasts in this world because they have so many emotions and thoughts at any given moment that it makes life very overwhelming at times. However, they try their hardest to live a normal life, at least on the surface. Beneath the calm waters, though, is a turbulent, ever-changing sea of emotions that most people will never get to see. Sensitive women already have so much on their plate that they definitely don’t need extra stress or pressure from the following statements/questions. Sensitive people definitely don’t need to hear this. High sensitivity is, in fact, a real, biological trait that about 20% of the population has, according to Dr. Elaine Aron, the leading psychologist behind the study of HSP’s. So, next time you talk with a highly sensitive person, remember that they can’t help the trait they were born with, and they just want to live a normal life like everyone else. Highly sensitive people also process things slower, so they need to take more time to get everything done. They also need frequent breaks, as even small tasks can feel overwhelming. Don’t hound them about how long it takes them to do things; just allow them the time they need to accomplish a task. Again, HSP’s get tired and overwhelmed easily. They aren’t lazy, attention-seeking, or incompetent. They actually are very intelligent, capable people, but they simply work in a different, slower-paced manner than others. Don’t make them feel bad for following their natural instincts. They don’t make life difficult; they just are more aware and sensitive to the difficulties that make up life. They don’t wake up each morning and strive to make their day any harder than it needs to be – in fact, they wish for the opposite. Sensitive people just have a different “struggle” than some others, but they don’t play the victim and demand sympathy. They just want love, understanding, and support, just as we all deserve. Again, you don’t want to use such harsh language with a sensitive person. If they complain, it’s likely an occasional thing, and they just need to get something off their chest. You have to realize that literally everyone complains or vents at some point, so don’t make them feel bad for simply being human. Everyone deserves a chance to voice what’s weighing them down, and all they need in that moment is someone to hear them out. Actually, sensitive people usually want the opposite of attention. Most sensitive people identify as introverts, and as you might know, being in the spotlight isn’t typical of an introvert. HSP’s just want to live happy, normal lives without being looked at as some sort of alien species. They get stressed out easily by the strain of a fast pace, so understand this before you start putting them down. Sensitive people wouldn’t be their true selves if they didn’t think or feel in excess. This is looked at as both a curse and a blessing by many highly sensitive people, but most wouldn’t want to change if they had the opportunity. Being able to think and feel deeply gives them a richer, fuller experience of life as a whole. They get to feel the absolute rush and satisfaction that comes with the good times, and the despair and turmoil in the bad. They get to feel it all, which helps them appreciate the positives in life even more. So, don’t tell them to get out of their head or feelings, because it simply doesn’t work that way with HSP’s. HSP’s can be a bit reclusive, but many have an active, healthy social life. 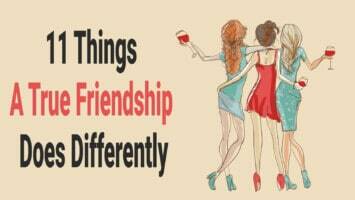 Many highly sensitive people love having relationships with others, but they often have a close circle of friends, and that’s fine with them. Don’t assume things about their life, because it likely isn’t true. Even if they don’t have many friends, this is probably by choice, not because others have found them to be a bad friend. They really don’t try to; it just might seem this way to others who don’t have the sensitive trait. Sensitive people feel everything to their core, so yes, a lot of aspects of life seem like a big deal. They have to process so many stimuli all day, every day, and decompress after exposure to it all. Sound exhausting? Speaking as a highly sensitive person myself, it definitely is, so please don’t put us down just because we feel more deeply. Related article: The 5 Types of Empaths…Which One Are You? Perhaps one of the worst responses to give to a sensitive person, this will likely result in getting ignored or getting the door slammed in your face. Sensitive people “deal with it” in the best way they can, and don’t appreciate being told otherwise. Treat them with respect and offer understanding, and you’ll keep your highly sensitive friend around much longer.